What's the best way to lure Minneapolis comedians into the same enclosed space? 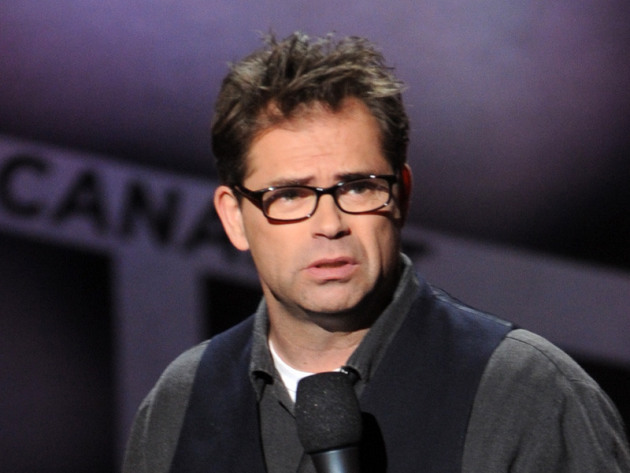 Book Dana Gould. Local stand-ups Cy Admundson and Bryan Miller were among the disciples at Acme Comedy Co. Thursday who came to worship the person club owner Louis Lee calls his favorite comic. Even non-professionals could see why Gould is an industry favorite as he explored territory that would never occur to his peers. Sure, he went after Donald Trump, gun lovers and the KKK. But how many comedians weave in material about the perverse pleasures of horse cremation, the phallic symbols in "The Fast and the Furious" and Little Richard's courageous stance, all topped with a Adam West impression? You could almost hear his fellow comics in the audience slapping hands to their foreheads and muttering, "Why didn't I think of that?" Gould's attraction to the fringes may be the main reason he's not a household name. On Thursday, he recalled how he lost a "Saturday Night Live" spot to some dudes named Chris Rock and Adam Sandler. His IFC series, "Stan Against Evil" returns next month and his podcast, "The Dana Gould Hour," is in its fifth year. But he's primarily known as a long-time writer for "The Simpsons" -- except in the Twin Cities. Here, he's a comedy God.